Google Earth should make the sea floor rendering optional? Way back when, I wrote a rather scathing review of the then new “sea floor” imagery. This takes the form of a rendering supposed to represent the ’3Dness’ of the sea floor, persumably to improve the feel when exploring under the water surface. Indeed it would look off, to ‘fly’ under the sea, and then see surface imagry projected onto the both bottom. Alas that comes at a high price, namely that this imagery is ‘allways on’, so you see it even when not exploring the oceans. This has the effect of obscuring valuable imagry in shallow water areas (where real features are visible in the imagry), with the low resolution rendering. But also where the ‘switch’ happens between the aerial imagry and the subsurface rendering is somewhat arbitary, and results in a ugly join when viewed at close range. At a distance the colour differential between the shallow sea and the greenish land is greatly reduced (to my colour blind eyes at least), leaving the land boundaries very hard to discern. Extra note: Of course anothe benefit of bing a ‘optional’ layer, Google Earth could even be made to automatically turn the layer when fly below the water surface, but above the surface its off. Slashgeo has been for the last few months running a poll on users acceptance of the Google Earth/Maps TOS. The poll has now been closed and the results published. Pretty interesting, aside from the tidbit that most people don’t read the TOS, the number of people actively put off by them is quite high! - which to my non-legal mind means Google can take a copy of any data you display in Google Earth or Google Maps – and do what they like with it. It’s irrevocable remember. On the whole don’t have an issue with this for Google Maps – you pretty much understand you posting public data there. But for Google Earth – which is an application on your own computer – you expect data you display there to NOT be shared with Google and its partners. Now I am not saying Google will invoke this right and take a copy of your data, its questionable if they would want to, as the data probably lacks context, and there is probably a large amount of it. But they could if the wanted to. And the fact they chosen not to revoke this right, suggests they wanting to leave their options open. 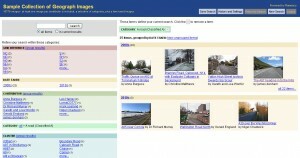 You are currently browsing the nearby.org.uk blog blog archives.